SpazioSparsh offers a selection of beauty enhancement services, we provide the latest in skin care technology to help reverse the signs of aging and reveal our patients’ natural beauty. 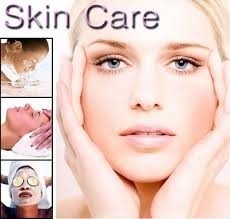 Assisted by rich experience as well knowledge, we are able to offer VLCC Facial Services. We render these facial services perfect for all skin types. Our offered facial services are provided in an appropriate manner. These facial services are imparted flawlessly by our beauty-experts who have immense experience in this domain. Mineral Spa , Flower Instant Glow , Diamond , Fruit, Vegetable Peel, White Secret , Chocolate, Gold , Silver, Skin Rejuvenating, Glycolic Peel , Aroma , Shahnaz , Clean-up and Face Massage etc. Growing up as a teenager, you never think of taking care of your skin. But once you enter your 20’s, you begin to see the changes. The skin is an ecosystem and it demands to be treated with respect and care. It is a part of the larger environment and takes into account the interaction between the skin and its environment. We proffer individualized skin care that refreshes skin by combining particularly prescribed products and skin care treatments. An establishment where a hairdresser, beautician, or couturier conducts trade.